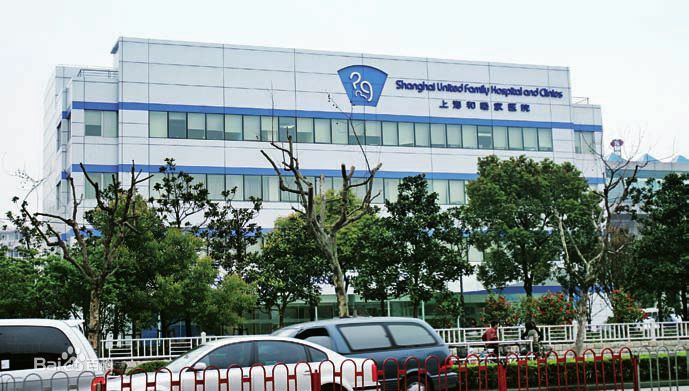 Shanghai United Family Hospital (SHU) is a purpose-built, full-service, internationally accredited facility that offers highly qualified medical staff from around the world and direct billing to over 40 global insurance companies. SHU opened its doors December 1, 2004. SHU has received international accreditation from the Joint Commission International (JCI), representing our ongoing commitment to the highest standards of excellence in healthcare. The international staff of senior physicians and local specialists at SHU is selected based not only on excellence of training and professional expertise, but also compassion, empathy, and genuine interest in working in a multicultural environment. In addition to the highly qualified medical team, SHU also has excellent working relationships with medical professors and consultants at local teaching hospitals. This allows SHU to arrange specialist consultants if necessary. Patients at SHU can be assured that they will be receiving care from a highly trained and experienced medical team that uses advanced equipment and international infection control standards. As China's first foreign-funded medical establishment, United Family Healthcare (UFH) has been operating for over 20 years since the inauguration of its first hospital in 1997. The organization is present in seven major cities across the country, and a number of its medical institutions have been accredited by Joint Commission International (JCI). UFH's vision is to lead the healthcare service in Asia, and its core values are Innovation, Care, Trust, Respect and Excellence. UFH's sole mission is to provide comprehensive and integrated healthcare in a uniquely warm, caring, patient and service-oriented environment, whilst delivering cutting-edge healthcare technologies, as well as quality products and services to the communities with pride. Over the past 20 years, UFH has provided diverse, reliable, high quality, and convenient healthcare services. 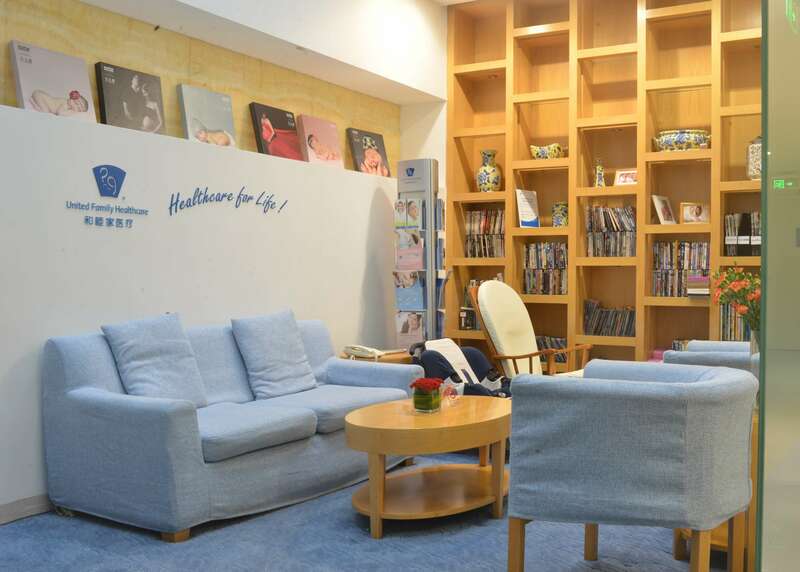 As a major branch of UFH, Shanghai United Family Healthcare (SHM) upholds UFH’s core values by engaging senior doctors with international backgrounds and experience in Shanghai’s top medical universities. Sophisticated facilities and high-quality staff are always ready to provide patients with quality, safe and effective diagnosis and treatment services. SHM now has two full service hospitals and four outpatient clinics scattered in Shanghai, Wuxi and Nanjing. Our 24-hour full-service Emergency Room is staffed by English and Chinese speaking physicians and nurses. All medical staff are experienced in Western-standard emergency care and prepared to treat a wide spectrum of adult and pediatric emergencies. Our ER hotline links you to our doctors and nurses 24/7 to offer you basic advice. A 24-hour translation service is also available for patients needing communication assistance beyond English and Chinese. Our Endoscopy Clinic is staffed by specialist physicians and nurses and offers a full-range of consultations and procedures in the care of digestive disorders and problems of the gastrointestinal system. These procedures are usually performed due to persistent symptoms of abdominal pain, nausea, anemia, weight loss, difficulty swallowing, or bleeding in the gastrointestinal tract, and are also performed as an age-appropriate cancer screening tool in adults. Our Department of Family Medicine is staffed by a team of board-certified Family Medicine physicians that are dedicated to treating the whole family. Physicians undergo specialty training in all major medical specialties and can treat patients of any age or gender. No matter what your age or symptoms, we can handle the diagnosis and management of the problem, and arrange further referral to the appropriate specialist if necessary. Our Department of Internal Medicine is staffed by an experienced team of physicians and consultants that are available to provide patient-centered medical care for a variety of adult health problems. Internists provide care not only for routine medical problems in adults but also for more specialized concerns. Our department offers both outpatient and inpatient care, including critical care for the gravely ill.
Our on-site blood bank meets all international standards, and all blood products are fully screened. 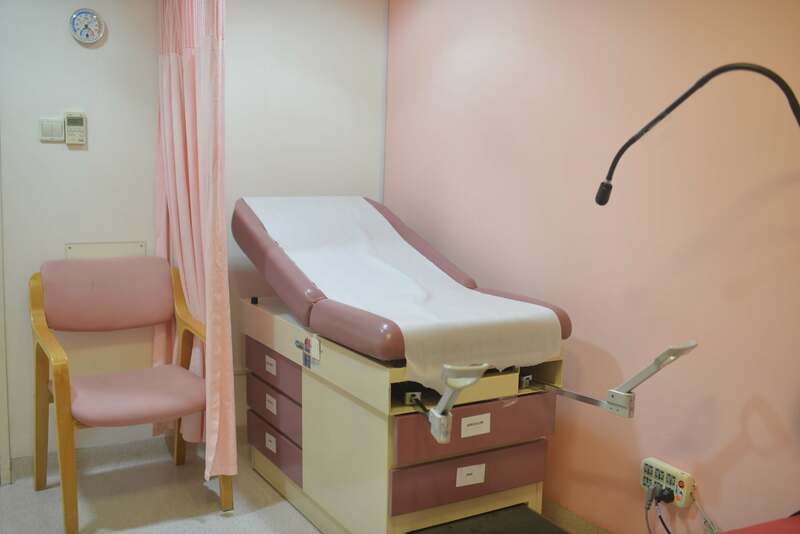 Our Department of Obstetrics & Gynecology is comprised of a highly experienced staff of obstetricians, gynecologists, midwives, and nurses who provide comprehensive, standard-setting care for women at all stages of life. Our services include well-woman care, routine check-ups, and care during pregnancy, labor, birth, and postpartum. Our Orthopedic & Sports Medicine team is composed of highly qualified international physicians that provide advanced orthopedic treatments, including select arthroscopic (minimally-invasive) knee, shoulder, and ankle surgeries, as well as other non-surgical techniques. 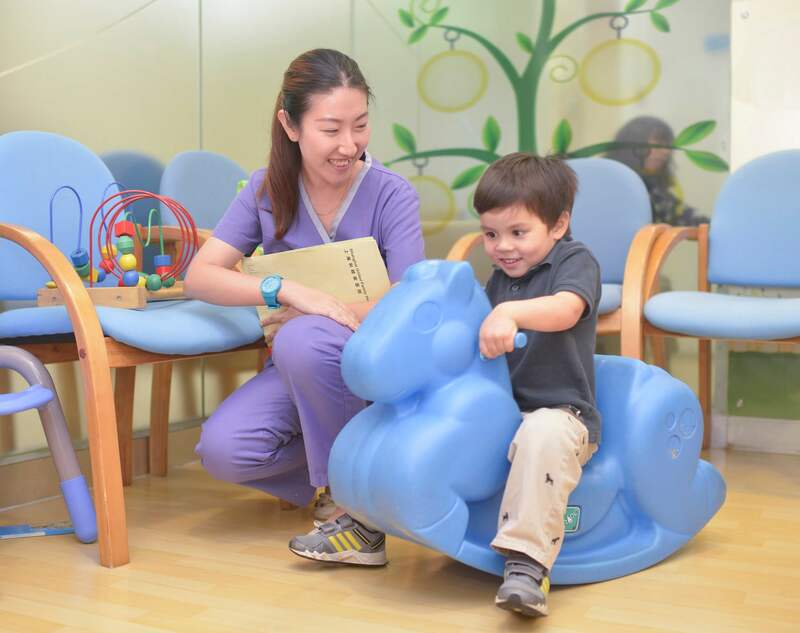 Our Department of Pediatrics is staffed by a highly experienced team of pediatricians that provides your family with international-standard inpatient, outpatient, and preventive care. Services available include outpatient same-day appointments, outpatient well-child preventive services, sub-specialty pediatric services, inpatient pediatric services, newborn care, and neonatal intensive care. Our on-site Pharmacy is staffed by fully licensed pharmacists that are committed to operating according to strict international standards. Our Pharmacy carries a wide range of imported and joint-venture medications for our outpatients, emergency patients, and inpatients. Our Pharmacy team can also help patients order imported medications and vaccinations as required. Our on-site Radiology/Imaging suite is a full-service department, staffed by highly experienced radiologists and technicians 24 hours a day, 7 days a week. The suite is fully equipped to provide a wide range of simple and complex diagnostic radiological procedures, including X-ray, digital mammography, MRI, color Doppler ultrasound, echocardiography, and CT scans. Our Department of Surgery is composed of a deeply experienced and qualified team of local and internationally trained adult and pediatric surgeons, anesthesiologists, and nurses, with advanced capabilities in both open and minimally invasive surgical techniques. We import advanced medical equipment for our operating suites in order to meet or exceed international standards for surgical care. Our Department of Traditional Chinese Medicine (TCM) is committed to providing patients with a holistic system of healthcare to stimulate the body's natural curative powers. Our doctors are able to treat and prevent a variety of medical conditions ranging from common and complicated illnesses to physical injuries. Our Dental Clinic is staffed by highly experienced dentists and nurses who are trained to offer international-standard dental care. Our state-of-the-art entail facility will provide you with high quality dental care in a warm and pleasant environment. We offer a variety of dental services for both adults and children, and our sterilization procedures comply with local and international regulations. Our Department of Mental Health is staffed with qualified, licensed professionals that have a broad range of specialties and extensive experience. Staff members are chosen for their superior clinical skills and experience. The clinic provides expert, professional services, consultation, assessment, and treatment to adults and/or children as individuals, couples, or families. Our Eye Clinic is staffed by a highly experienced optometrist and is well-equipped to carry out a broad spectrum of optometric services. The clinic offers services including routine eye exams, diagnosis, and medical treatment of eye disorders and diseases, prescriptions for eyeglasses, surgery, and management of eye problems that are caused by systemic illnesses. Our Dermatology and Aesthetic Center is staffed by experienced dermatologists trained to diagnose and treat diseases of the skin, hair, and nails. We also offer skin disease prevention and cosmetic therapies. Our services include checking your skin and moles for skin cancer prevention, teaching you how to keep your skin healthy, and providing a wide-range of cosmetic treatments that renew and maintain youthful looking skin. Our Department of Physical Medicine & Rehabilitation is staffed by experienced sports physicians, orthopedic surgeons, and physical therapists. Our professional team can help with injuries or conditions affecting muscles, ligaments, bones, or joints. Our ENT Clinic is staffed by highly experienced ENT specialists and is equipped to provide integrated and comprehensive diagnosis and treatment for problems of the ear, nose, and throat. ENT specialists treat a wide-range of conditions including those caused by infection, injury, allergy, air pollution, or tumors.